Three novels starring the ultimate law man of the future. In Dredd Vs Death, Judge Dredd teams up with his movie co-star Judge Anderson to investigate a trail of carnage left by a cult obsessed with with Judge Death, who believes all life is a crime. In Kingdom of the Blind Judge Dredd hits the streets as senior Judges gather for a treaty signing, just as a notorious crime boss prepares to step out of the shadows and sieze control of the city. 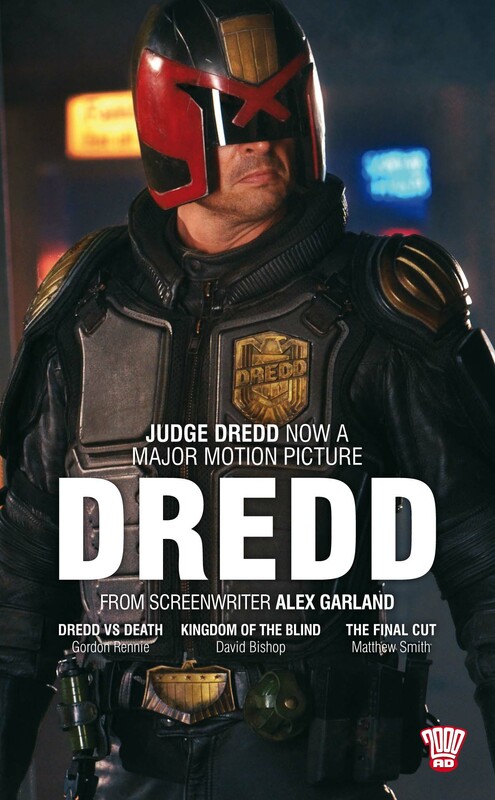 In The Final Cut Dredd uncovers a grisly series of murders that point the finger at the an underground movie scene with unlikely allies in the corridors of power. From comic books to movies to novels Dredd brings the Law to Mega-City One, the city of the future that covers the entire Eastern Seaboard of the former USA.